spam and content filtering and virus scanning for every email account and every email message, at no extra monthly cost. the most advanced website statistics and log analysis package in the industry, for every hosting account. our own datacenter, our own support structure, our own systems and infrastructure. the best and most comprehensive Control Panel . a low number of sites per server, reducing server overhead and ensuring server stability. true 24/7/365 support for every customer and every hosting account much more than the majority of other hosts out there. We can actually claim and provide 99.5% uptime (explaining our 80% referral rate). 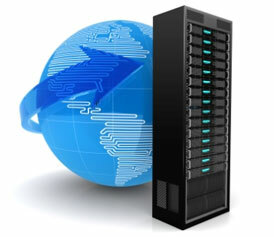 We provide the latest infrastructure / hardware used in the industry. We support the latest software applications which allow customers to leverage the latest technologies, while keeping security and server stability our upmost concern.